NOL closed 2.29. After making new high, it came back to test support, never break below recent low. 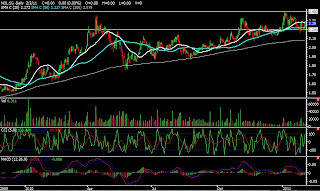 The trend of this stock remain uptrend despite of the recent correction. Now it is still at the support level, good entry for tomorrow will be 2.31, stoploss 2.13, timeframe: mid-long term. 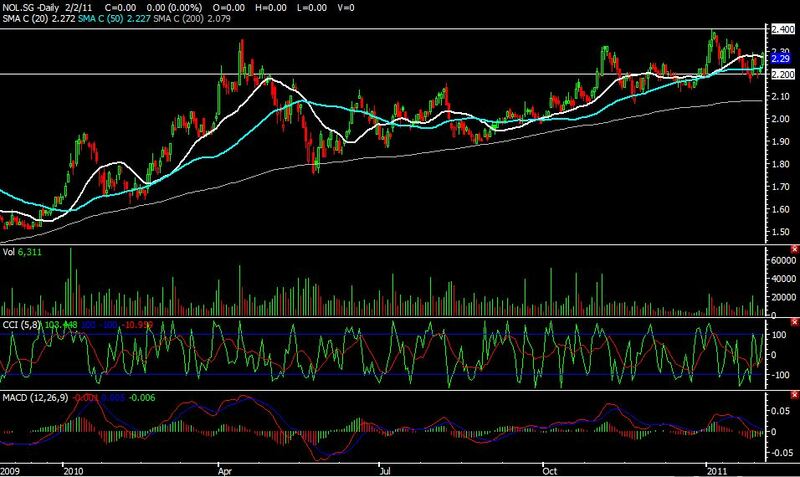 We will see more upside if it breaks above 2.40.